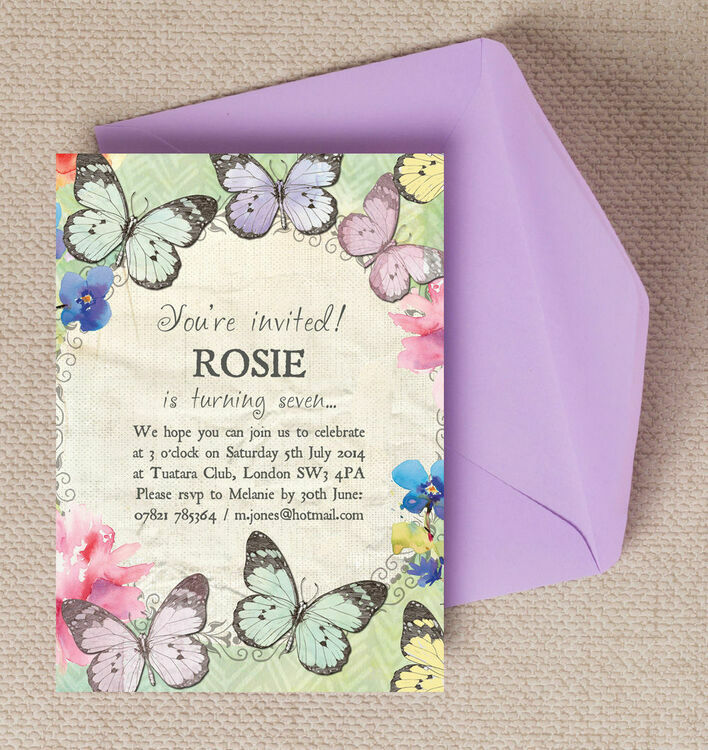 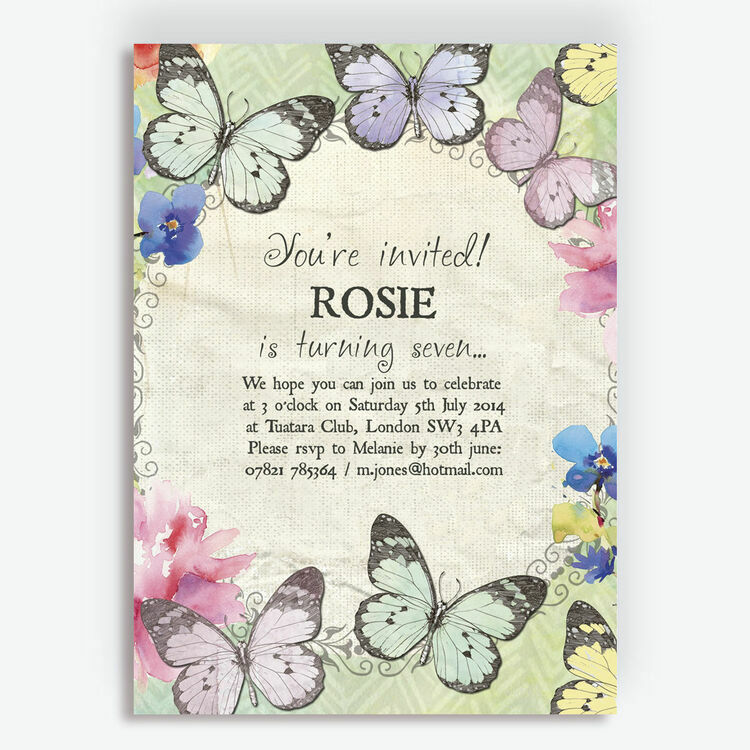 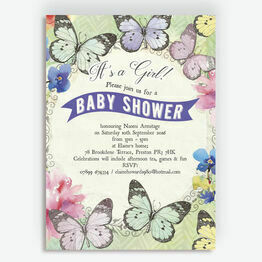 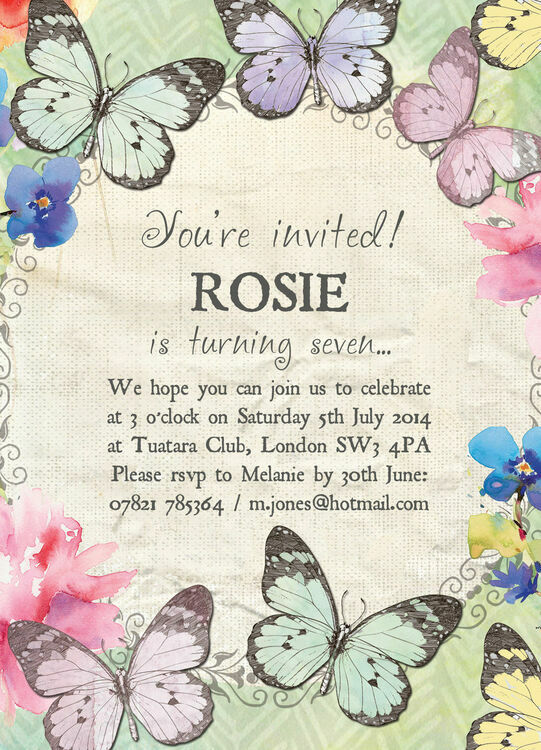 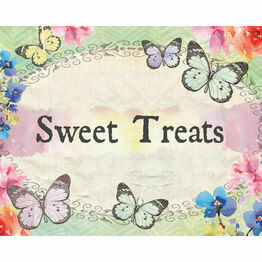 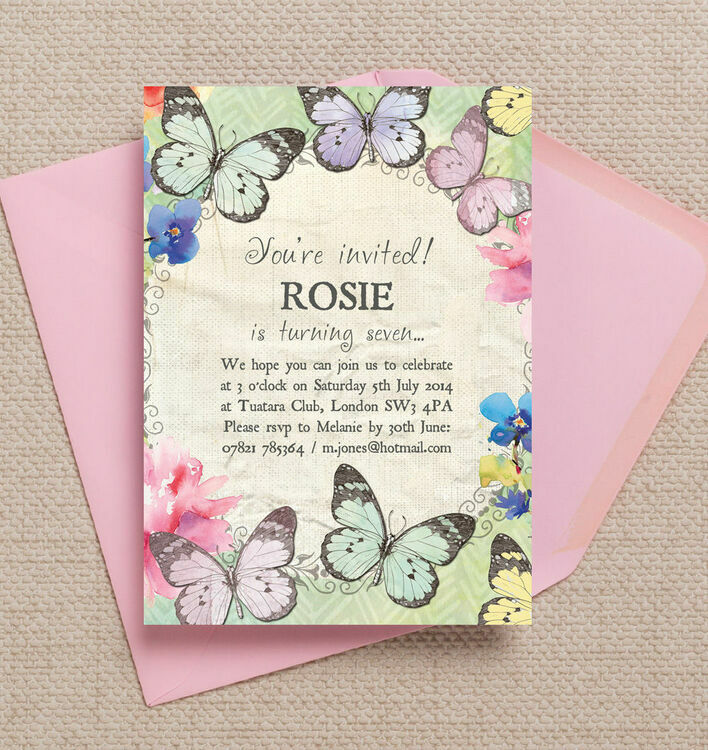 From our stylish 'Butterfly Garden' children's party stationery collection, this pretty design is inspired by nature with pastel coloured butterfly illustrations, enchanting flowers and vintage story book inspired fonts. 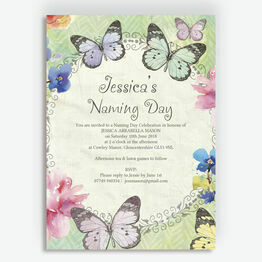 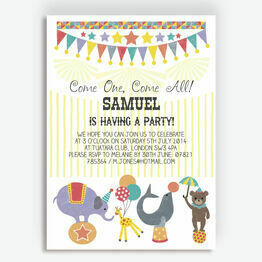 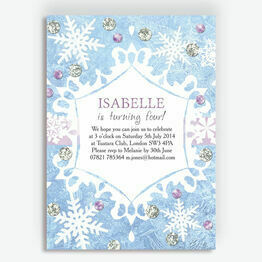 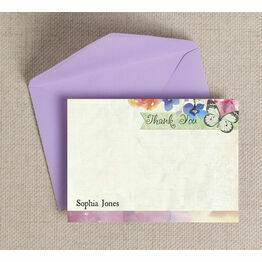 With a 'Secret Garden' feel, this design is especially apt for spring and summer parties. 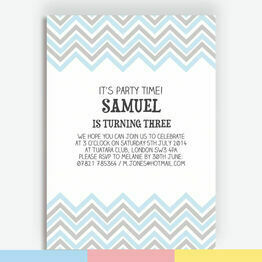 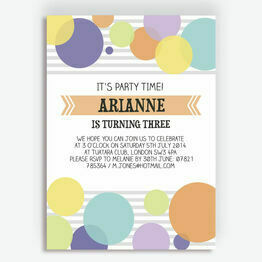 This invitation design is popular for any age and is sure to get all your guests excited for the birthday party or special occasion you're planning. 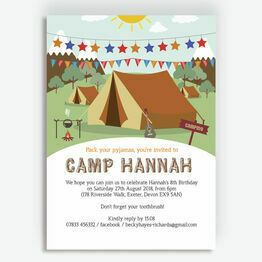 All wording can be customised to suit your needs and you can get this invitation as an instant printable PDF or let us take care of all the printing for you.